Well guard is an ideal organic insecticide as well as acaricide. Well guard can be used in any crops for better and long duration control of Thrips and Mites. Well guard is a very safe to crops and cost effective insecticide. Well guard has no any temperature effect so can be apply any time on crops. Vinmax is a very good organic insecticide based on organic technology. 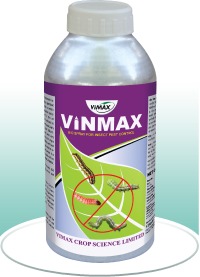 Vinmax works as a contact and stomach action insecticide. Vinmax can be most useful in all crops for control of all kind of bollworm. Vinmax application can stop feeding of bollworm within two to three hours and later on completely die. 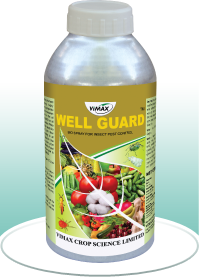 Vinmax can be useful in all crops like cotton, chilly, groundnut, tur, vegetables etc,. Vinmax is very safe to crops and cost effective insecticide. 20 ml, 100 ml, 250 ml, 500 ml, 1 lit. Potter is a very good insecticide based on organic technology. Potter works as a systemic and translaminar action insecticide. Potter mainly control whitefly nymph and adult. 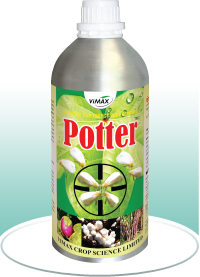 Potter can be useful in a crops like cotton, brinjal,bhindi, sugarcane etc for white fly control. Potter is very safe to crops and users. Copyright © 2012 Vimax Crop Science Limited. All rights reserved.